Born in southern California, a child of the sixties, Laurie announced to her family at age six she would be a singer when she grew up. The pop music radio of the late '60s carried a heavy dose of folk music, and Laurie gravitated to that sound. Along with her mother, a huge Johnny Cash fan, she watched the Johnny Cash Show religiously each week, where she first saw artists like Joni Mitchell, Bob Dylan & Merle Haggard. "I fell in love with folk and country music at the same time. Her family all moved from the San Fernando Valley back to her parents' birthplace of Lincoln, Nebraska when she was twelve. She heard a Joan Baez recording of the Leonard Cohen song, "Suzanne," and begged her father for a guitar so she could learn it. Soon after that Laurie began playing guitar and singing at junior high assemblies and friends' parties. At age 15 she began playing frequently at the local open stages, where she heard slightly older local performers singing songs by artists like Hank Williams and John Prine, which further fueled her love for folk and roots country music. "Kids my age were starting to go for the new disco music, or they were into bands like REO Speedwagon, Led Zepplin, Aerosmith. I just couldn't relate to any of that." By age seventeen, she got her first paying gig at a local bar, where she covered songs by Leonard Cohen, Hank Williams, Neil Young, Bob Dylan, Merle Haggard, Woody Guthrie, Joni Mitchell, John Prine, Kate Wolf, Jackson Browne, Steve Forbert, and others. Taking the advice of a wise friend who told her she should compose her own songs, Laurie wrote her first song at age eighteen. 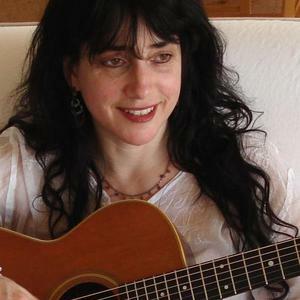 She has now been writing and performing music for over twenty-five years, and for the past ten years she has been touring on the national folk circuit playing house concerts, festivals & coffeehouses. Laurie moved to Nashville, Tennessee in 1997. In 1999, she released her first CD, THE CHILD BEHIND MY EYES, containing thirteen originals and an a capella version of Gillian Welch's and David Rawlings' "ACONY BELL." Marcia, Mike & Carol Calvert of Blazon Pearl sing harmony on ACONY BELL Jamie Hartford (son of John) appears on the recording playing electric guitar, mandolin, and singing harmony. Charlie Chadwick, a top session bass player in Nashville, produced THE CHILD BEHIND MY EYES. During the recording, Laurie and Charlie fell in love and were subsequently married in 2000. Also in 2000, Laurie's song, "ONLY FOUR," from THE CHILD BEHIND MY EYES, was chosen for the HOPE, MOTHERS HELPING MOTHERS CD, with proceeds going to a women's and children's shelter, Project Hope. Other artists appearing on that CD include: Tish Hinojosa, Diane Zeigler, Sara Hickman, Suzzy Roche, and Eliza Gilkyson. In January, 2003, Laurie released THE TRUMPET VINE, A TRIBUTE TO KATE WOLF. This 14-song CD has 13 Kate Wolf songs and one song, called "WE'VE LOVED AWAY THE NIGHT," that Laurie wrote music to some Kate Wolf lyrics. Musicians and harmony singers contributing their talent to this album include: Stuart Duncan, Bryan Sutton, Pam Tillis, Anne Hills, Nina Gerber, Donna Henschell & Kelly Mulhollan of Still on the Hill, Muriel Anderson, Jerry Rau, Kathy Chiavola, Carter Wood, Tom Mitchell and more. Laurie's latest release is the 2009 14- song cd Ascend, containing all original music. Ascend recently was nominated for 4 awards, and took 3rd Place in the Just Plain Folks Awards Best New Folk Album for 2009. The JPF Awards, nicknamed the "grassroots grammys" is the largest music awards in history, as over 42,000 albums were submitted in over 50 genres.